We need to talk about net neutrality. It’s a simple idea: Everything gets sent to your web browser at the same speed without middlemen, gatekeepers, or censors. This would be a perfect situation for musicians with all of the swirling currents of music subgenres available to listeners, and the best bubbling to the top in a democratic and Darwinian process. 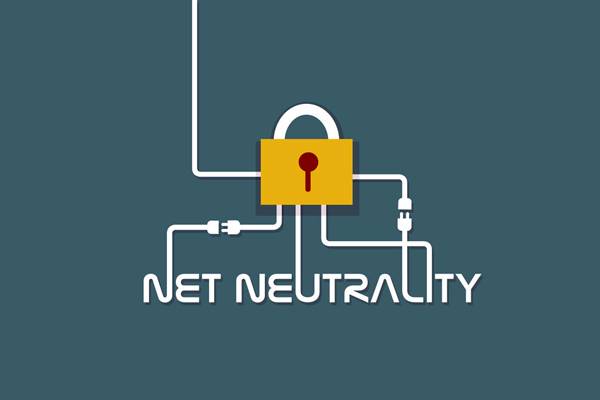 Last month, though, lawmakers erased our net neutrality policies, giving internet service providers the power to throttle content as they please. Now everything on the internet has to compete with all the bandwidth taken up by cat videos on Facebook, and I worry how this will affect our musical space. The problem is that there’s a built-in conflict of interest between ISPs and content creators. Comcast, for instance, is a part owner of Hulu. What’s to stop them from slowing the data from their competitor Netflix? It’s not idle speculation; ISPs have throttled certain types of bandwidth in the past. Netflix has had to make private deals for reliable service. But I’m most worried about smaller music sites like SoundCloud and Bandcamp. Anyone can post their music there, no record deal or rich uncle needed. But profit margins are paper-thin — rumors of SoundCloud’s demise are flying and I’m not sure they could handle an unfairly large cable bill. The only hope we have is future legislation. Kansas senators and representatives, the ones who got more than a million dollars in campaign contributions in exchange for letting net neutrality die, need to know they did so even though 86 percent of Americans opposed the repeal of net neutrality. Even though he’s really famous, Chance is not signed to any label, so SoundCloud is the ideal platform for him. Example of a beat put on SoundCloud with the idea of selling it to a rap project. RP Boo is one of the DJs who invented the Footwork genre in Chicago in the 90s. Footwork dancing involves incredibly fast leg movements. The music is sparse and weird, with complicated and raw drum machine sounds. Some interesting dance/techno. An example of a small, one-person label using Soundcloud as a platform. An amazing solo bass saxophonist on Soundcloud. A nice exploration of extended performance techniques: circular breathing, key clicks, singing while playing. Has played with dozens of acts like Tom Waits, Arcade Fire, TV On The Radio, David Byrne, etc.